As you may have noticed, different ELD providers offer different features and capabilities to assist trucking companies with fleet management. 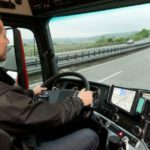 The current competition in the industry has allowed such providers as Gorilla Safety unveil innovative and highly beneficial ELD and fleet management solutions. Though relatively new in the industry, this ELD provider offers one of the best cloud-based ELD and fleet management solutions in the industry. 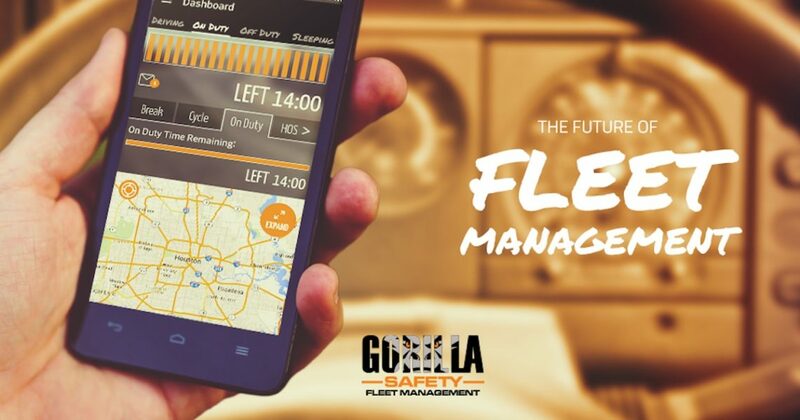 As a matter of fact, Gorilla Safety is a preferred fleet management and ELD solution for thousands of drivers and fleet managers. Like many other truck or CDL drivers, you probably are wondering what makes this product so special. Throughout this review, you will learn the various features and aspects that make the Gorilla Safety ELD superior to some of its competitors. 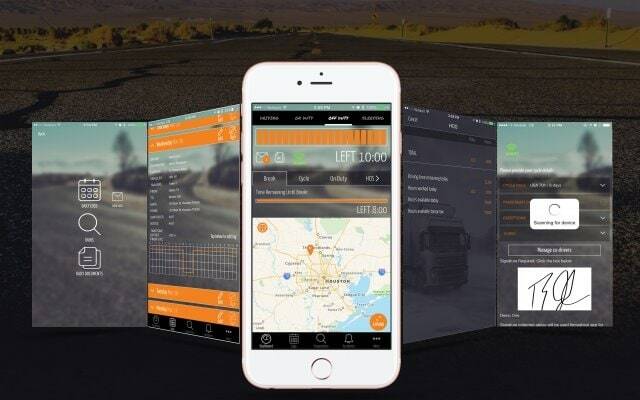 This cloud-based fleet management and ELD solution is offered by Gorilla Safety—a renowned provider of proprietary, patent and innovative safety and fleet management automation software. 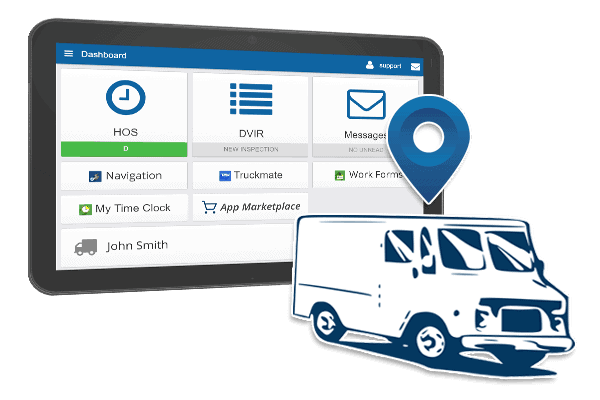 In its functioning, this product offers owners, drivers and fleet managers much more than just ELD mandate compliance. With Gorilla Safety electronic logging device in your fleet, you will be able to control operational costs, enhance productivity, improve SAFER scores, optimize efficiencies, and reduce insurance premiums, increase profits and enhance safety in your fleet. 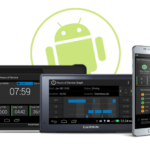 The ELD solution by this provider is mainly offered in 3 main components; ELD device, Android and iOS mobile Application and a web-based dashboard. Together, these components offer an array of features that are specifically designed to integrate all aspects of efficiency and safety management in your fleet into a single platform. 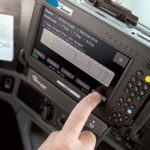 While all the ELD devices are primarily designed for FMCSA mandate compliance, each of the products available today offers a unique set of benefits. As one of the best electronic logging devices in the industry, Gorilla Safety ELD offers a vast array of benefits for truck drivers, owners, fleet managers and dispatchers alike. One of the things you will love about this product is the sturdy construction of the ELD hardware. This product is designed to withstand different duress conditions and still deliver exceptional durability. With regards to construction, Gorilla Safety ELDs are compact and highly portable too. These units are specifically built to withstand all adversities associated with trucking. As a proof of quality, these ELDs are backed by a manufacturer warranty. In this regard, you are guaranteed that any substandard ELD units will be replaced by the manufacturer. 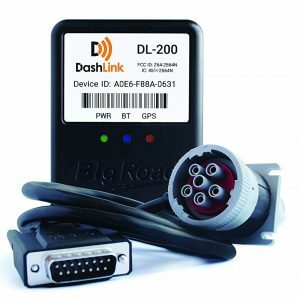 Despite being of the highest quality possible, ELD devices by this provider are known to be cost-effective and affordable. As compared to ELD solutions of the same quality, you will find Gorilla Safety ELDs to be relatively cheaper to buy and maintain. To get the installation equipment for the ELD, you are required to pay $175 upfront. Additionally, you need to pay a monthly fee of between $24 and $30, based on the premium service ELD features you would like to get. If you considered the risk management, ELD compliance and fleet management tools and features offered by this solution, you will discover that it is worth every penny. Manually tracking your hours of service logs can be a daunting and time consuming task. As you are aware, transporters are often pressed for time. Since you have to operate based on fixed schedules, you will discover that late deliveries tend to impact negatively on your business. For instance, late deliveries may lead to loss of clients, poor fleet reputation among clients and even fines. To save drivers and fleet managers time, this ELD solution automates some of the important tasks and offers complementary services. This allows them to focus on other important tasks and aspects of the business. in the long run, this will end up improving performance in your business as well as client satisfaction. Another thing many truck drivers, owners and fleet managers love about these ELDs is that they are easy to use. For instance, the ELD App and Web platform by this provider are relatively easy to understand and use for both drivers and fleet managers. Additionally, you will also find the ELD system easy to install and navigate. The installation of this product does not require any technical expertise. 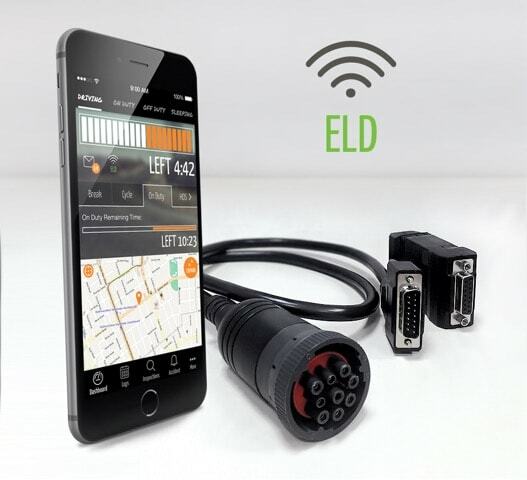 Any driver or fleet manager who is currently using Gorilla Safety ELD will tell you that it is much more than an electronic logging device. One of the aspects that set Gorilla Safety apart from its competitors is the fact that it also offers risk management services to its clients. Some of the risk management services you can get from this ELD provider include accident investigation and document management. Such services are aimed at keeping your employees and the entire fleet safe. What sets this ELD solution apart from its competition is actually its unique set of features and capabilities. As you will learn below, this ELD is packed with a wide range of innovative and relevant tools and features. Below we will review some features you will definitely love about this product. This is arguably one of the best things about Gorilla Safety ELD devices. Currently, the provider is one of the best risk management service providers in the industry. 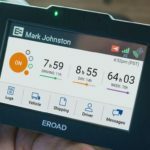 As such, the risk management services offered by this ELD device are not only innovative, but are also beneficial for the various players in the trucking industry. Discussed below are some of the main risk management services you will get from your Gorilla Safety ELD device. The skills and competence of your drivers will impact in the safety of vehicles in your fleet. In this regard, Gorilla Safety has a department that focuses on training truck drivers to adhere to the relevant laws and regulations as well as master American roads. With this program, trainees get an array of complementary services, such as documentation, licensing as well as employment opportunities. Whenever an accident occurs involving a truck on American roads, the blame is often laid on the truck driver—even when he or she is not wrong. Following an accident involving a client’s vehicle, Gorilla Safety sends a team of investigators to ascertain the actual cause of the accident. This investigation has been known to help truck drivers and owners with insurance and legal paperwork following an accident. The FMCSA uses a Compliance, Safety and Accountability (CSA) score to ascertain the risk level of any driver or vehicle. Drivers and vehicles that have a poor CSA score are categorized as high-risk drivers or vehicles. Such a vehicle or driver is likely to have a stream of professional and legal problems. A poor CSA score will also cause your fleet to be frowned upon by insurers. To avoid such problems, Gorilla Safety implements several measures to ensure that vehicles and drivers in your fleet maintain a good CSA score. For instance, the ELD provider offers drivers educative materials on how to comply with various safety regulations on the road. Additionally, the company trains drivers to preserve the highest standards possible; hence avoid petty issues on the road. Whether transporting light or heavier loads, you trucks are prone to mechanical problems. Since all mechanical breakdowns on the vehicles cost money to repair, they are considered to be liabilities for the business. To avoid time wastage and costly repairs on your vehicles, it is advisable to have a dedicated maintenance team in your fleet. In this regard, Gorilla Safety has a dedicated team of technicians and mechanics who are instantly deployed whenever a client’s vehicle breaks down. Paperwork is a cumbersome, yet important part of many businesses today, including transportation. What if you had an ELD that made your paperwork easier? Yes, that is exactly what the Gorilla Safe does for you. In this regard, the Document Management feature of this device breaks your paperwork into 4 categories; driver qualification files, truck files, patent pending ELD supporting documents and company files. Additionally, the feature offers a simple, yet effective means of transferring various documents between the management and the truck driver. You may also use the feature to obtain digital signatures on various documents in the fleet. This feature is offered on the Mobile App by the provider to complement the document management feature on the ELD device. In its functioning, the mobile document for ELD feature allows the driver to keep up with the necessary paperwork. The app gives you a rather consolidated space, within which you can easily document dispatch documents, communication records and delivery receipts, among other types of documents. With this feature at your disposal, you will be able to negate the hustle associated with paperwork and focus on driving instead. The feature also allows you to adhere to deadlines to the convenience of the business. Come to think of it, many of the maintenance inspection violations are avoidable with due diligence. However, you will not be able to fix what you do not know or cannot see, right? To help you avoid such inconveniences, the Gorilla Safety Mobile App features eDVIR and mechanic inspections capabilities. With this feature, you can now evaluate the overall fitness of your vehicle. Additionally, this feature allows you to maintain a record of mechanical problems that may emerge in the truck. 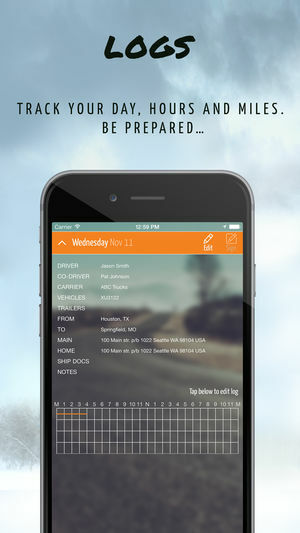 The App will keep both the driver and owner or fleet manager aware of the truck’s fitness at all times. This allows the responsible persons to fix any vehicle problems in time. This way, both the driver and the vehicle can avoid unnecessary fines and tickets as well as the time wastage associated with such inconveniences. Fleet management features and capabilities are other aspects that make this product unique. In this regard, the ELD provider keeps an accurate track of the client’s vehicles using eDVIR and mechanic inspections. This technology is normally used to collect important and relevant data, including number of inspection stops, amount spent by each vehicle on the read, and speed. With such data, you can easily streamline the various aspects of your business. Over the years, this feature has been proven to help owners avoid unnecessary wastage of time and other resources in their businesses. With access to the Gorilla Safety Web Portal, you can attest that fleet management has never been simpler. Dedicated to fleet management, this portal is equipped with important databases for document storage and retrieval. With this portal, the fleet manager can view and keep track of the vital documents, exchange important documents and digital signatures with the drivers in the fleet in real time. However, this portal is not able to allocate unlogged driving to specific drivers. In order to remain compliant, there are several things you need to keep track of in the fleet. For instance, you need to keep track of the maintenance schedules as well as inspection. Without the right organization measures in place, this is going to be a problem. This is why this ELD is equipped with the Alerts feature. With this feature, you are only required to schedule the various tasks and assign them deadlines. The feature will notify you if the various tasks are not accomplished in a timely manner. 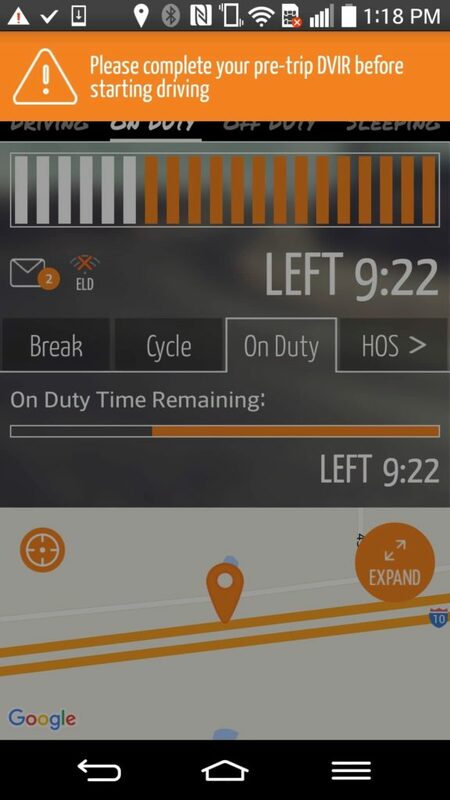 In this regard, you will get notifications of impending violations on your phone or computer from the various trucks in your fleet. As you have learned, it is the unique set of features and beneficial capabilities that make this ELD solution unique. Although the device features a plain and compact design, it is equipped with a wide range of beneficial features and capabilities. The various features offered by the Gorilla Safety ELD are meant for enhanced functionality, comfort and convenience. As compared to similarly priced ELD solutions, Gorilla Safety offers the best value for your money.